Biomedical scientist Alan Mackay-Sim is one of the pioneers in stem cell research, digging into (pun intended) the enormously productive (flowing?) area of “olfactoric mucosal stem cells” or neurological stem cells from inside your nose responsible for your sense of smell. 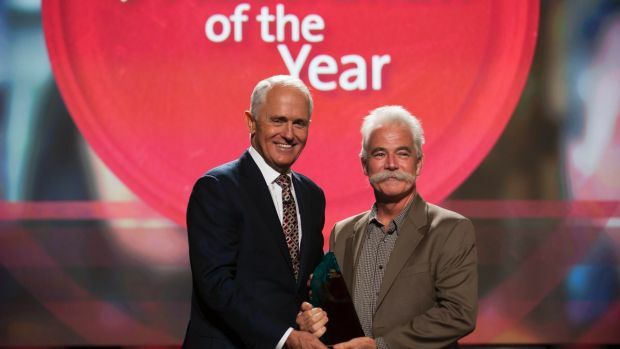 JANUARY 25 2017 – Biomedical scientist Alan Mackay-Sim, whose research helped achieve a feat described as “more impressive than man walking on the moon”, has been named the 2017 Australian of the Year for his pioneering stem cell research. Professor Mackay-Sim’s work was central to the 2014 surgery that allowed Darek Fidyka, a Polish firefighter, to walk again and even ride a custom-built bicycle. This made him the first (well, not the first but no less significant) paraplegic in the world to recover mobility after the complete severing of the spinal nerves. The success was hailed by fellow researcher Geoff Raisman as more impressive than the moon landing. Tension has persisted between the Prime Minister and the man he rolled for the top job way back in September 2015. Mr Fidyka, who had been stabbed 18 times in the back by his partner’s former husband four years earlier, described the feeling of recovering movement in his legs as akin to being “born again”. Professor Mackay-Sim is a leading global authority on the human sense of smell and the biology of nasal cells. The successful surgery that allowed Mr Fidyka to walk again involved taking cells from his nose, growing them in a lab and injecting them into his spinal cord. Professor Mackay-Sim, 65, himself relied on a stem cell transplant two years ago when he was diagnosed with myeloma, a rare form of blood cancer that develops in the bone marrow. When she found out early in her pregnancy that one of her identical twins would die at birth, Sarah Gray began a five-year journey that culminated last week in Philadelphia. She had to carry the sick baby to term in order to protect his healthy twin. And she also looked into organ and tissue donation. On March 23, 2010, Thomas and Callum Gray were born at Fairfax Hospital in Virginia. Callum, perfect, was five pounds, 10 ounces. Thomas, four pounds, was born without part of his brain. His mother nursed him, diapered him, cradled him. He died after six days – five years ago on Sunday. Within hours of Thomas’ death, his eyes and liver were recovered and sent – along with umbilical cord blood from him and his brother – to researchers.But that wasn’t the end of it for Sarah Gray. She often wondered – what became of his eyes, his blood, his liver? The Grays had received a thank-you letter from the Washington regional transplant organization, telling them their son’s corneas had been sent to the Schepens Eye Research Institute in Boston, and his liver and the cord blood to Duke University in North Carolina. Two years later, on a business trip to Boston, Sarah Gray called the eye institute, which is affiliated with Harvard Medical School. The next day, Gray met James Zieske, the institute’s senior scientist, who told her “infant eyes are worth their weight in gold,” because, being so young, they have great regenerative properties. Thomas’ corneas were used in a study that could one day help cure corneal blindness. Thirteen more studies had cited that study. Gray felt a new emotion: pride. Before leaving, she bought a Harvard T-shirt for Callum, and decided she was going to go with the whole family to North Carolina, where Thomas’ liver and the cord blood had been sent. A few months later in 2012, the Grays went to the Duke Center for Human Genetics in Durham, N.C., where even though the twins were identical, scientists found epigenetic differences in their cord blood, research that could one day help prevent Thomas’ fatal defect, anencephaly. Sarah Gray bought Callum a Duke T-shirt. The couple then drove down to the road to visit Cytonet, a biotech company that had used their baby’s liver in a trial to determine the best temperature to freeze liver tissue. Already in the nonprofit public relations field, Sarah Gray became director of marketing for the American Association of Tissue Banks. Her mantra has become donate, donate, donate, and not just for transplant, but also for research. Even if nobody asks you – doctors are often uncomfortable when a child is dying – bring it up yourself, she says. At a conference last summer, by coincidence, Gray learned that the Old Dominion Eye Bank in North Chesterfield, Va., had shipped Thomas’ retinas to Philadelphia. She couldn’t believe she’d never known this. She immediately wrote to the researcher at the University of Pennsylvania who used the donation in her efforts to cure retinoblastoma, the most common form of eye cancer in children. Two days later, Gray got a reply from Arupa Ganguly, who runs the lab and is a genetics professor at the Hospital of the University of Pennsylvania. Ganguly sent Callum a Penn T-shirt. They arranged to meet last Monday. First, Sarah, Ross, and Callum Gray went to the National Disease Research Interchange in Center City, which Sarah Gray calls “the Match.com of science.” The interchange connects hospitals that supply organs and tissue with researchers who request it. After a visit there, the Gray family went to Penn to meet Ganguly and tour her lab. Sarah Gray saw the marbled composition book in which the receipt of retinas was logged on March 30, 2010, the 360th specimen to be received. They became “RES 360,” short for Research 360. Gray ran her index finger over the cursive of Jennifer Yutz, the lab manager who recorded the entry. Her husband took a look. Callum, then 4, hugged an inflatable Godzilla as tall as he is, a gift from Ganguly, bouncing it on the lab floor. “We have a copy for you,” Ganguly said. Thomas’ retina tissue is so rare, so precious, Ganguly and her team are still saving some of it for future research. Ganguly’s staff led Sarah Gray into the hallway, where a refrigerator, innocuous and ordinary, stood across from student lockers. Yutz unlocked it. Inside were hundreds of 1.5 milliliter tubes – smaller than cigarette filters. “There it is,” Yutz said. “Oh my gosh!” Gray said. She couldn’t touch them. The tubes were frozen at minus-80 degrees centigrade (minus-112 Fahrenheit). 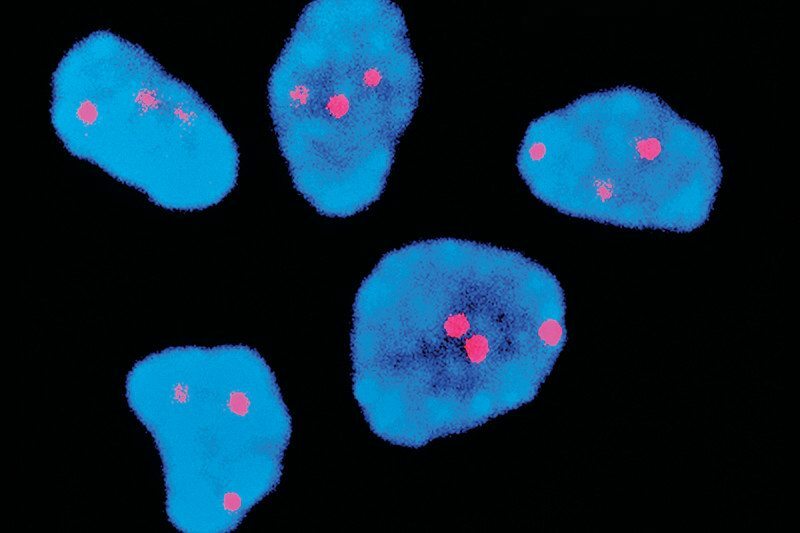 “It’s the RNA isolated from the retina tissue,” Yutz said. Call it what you will, that was a piece of Thomas Gray, her son. Ross Gray has long supported his wife’s journey.